Tripti Sinha is the Assistant Vice President and Chief Technology Officer within the Division of Information Technology. She leads Advanced Cyber Infrastructure and Internet Global Services (ACIGS) and is the Executive Director of Mid-Atlantic Crossroads (MAX). Tripti has been with the university since 1990 and has more than 25 years of technology leadership experience in areas ranging from software engineering to advanced cyber infrastructure. As the leader of ACIGS, Tripti promotes the use and innovation of advanced cyber infrastructure in support of high-performance computing (HPC) among campus researchers, as well as collaboration with federal research labs and other research-focused organizations in the Washington and Baltimore metropolitan areas. Tripti oversees the University of Maryland’s HPC resources including Deepthought and Deepthought2, and has worked to facilitate advanced networking to Bluecrab, which is jointly managed with Johns Hopkins University. Under ACIGS, Tripti is also responsible for the global operation of D-Root, one of the Internet’s 13 root name servers. Tripti currently represents the University of Maryland on the Root Server System Advisory Committee (RSSAC), the organization responsible for advising the Internet Corporation for Assigned Names and Numbers (ICANN) community and Board of Directors on matters relating to the operation, administration, security, and integrity of the Internet’s Root Server System. In January 2015, she was elected co-chair of RSSAC. Tripti is also the executive leader of MAX, a regional high-performance cyber platform. MAX operates an all-optical, Layer 1 core network that supports high-bandwidth, high-performance data transfers and provides advanced network services to its participants. Tripti served as Principal Investigator and co-PI on successful National Science Foundation grants, which focused on developing technology for advanced cyber infrastructure services for high-end science applications. She has also led the growth of MAX’s network footprint and the expansion of MAX’s big data services, focusing primarily on cutting-edge innovation to promote high-performance cyber infrastructure services. Tripti currently represents MAX on the Board of Directors for The Quilt, a national coalition of advanced regional research and education networks. 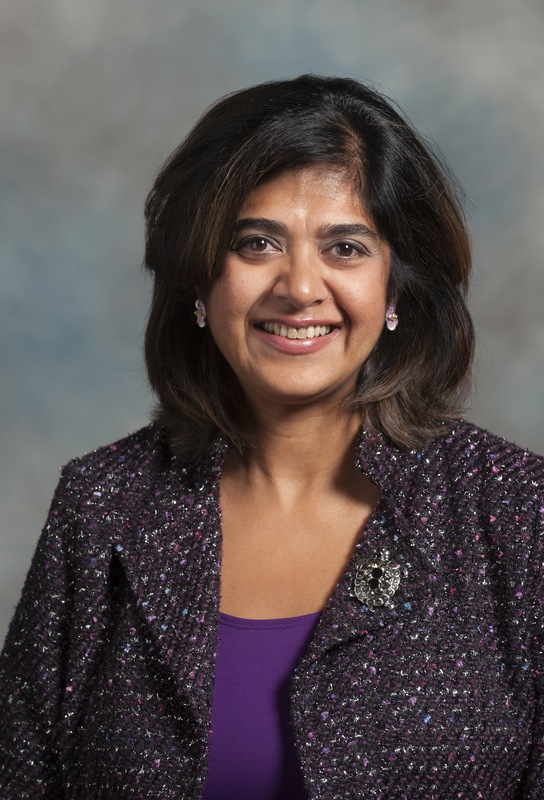 Previously, Tripti served as Assistant Vice President and Deputy CIO of Networks and Communication Technologies, overseeing the university’s enterprise network infrastructure and unified communications services. Tripti provided a key leadership role in the creation of the Network Refresh Initiative, one of the largest technology infrastructure upgrades in higher education. She oversaw strategic planning to modernize campus networking and communication technologies and collaborated with industry technology partners to develop and deploy these technologies at the university. Tripti has served on several executive technology partnership teams including the Cisco Mobility Higher Education Technology Advisory Board. She played a pivotal role in the establishment of a university strategic partnership with Cisco Systems, Inc. in 2010. Tripti was also the first chair of the Maryland Research and Education Network (MDREN) Board, a network infrastructure serving Maryland institutions. She has presented at several national and international conferences and is active in Internet2, ICANN, and EDUCAUSE. Tripti received her undergraduate degree in computer science from Smith College in Massachusetts and has done graduate work in computer science at the University of Maryland.